Memorial Hermann Medical Group Southwest GI combines skilled professionals and state-of-the-art technology to deliver highest-quality, patient-centered gastroenterology care to Southwest Houston. Why should MHMG be your first choice for health care? Our highly experienced specialists also provide preventive care, consultations and treatment for digestive health. 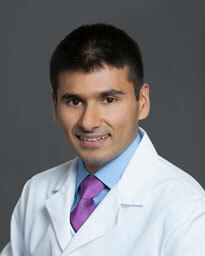 Dr. Shaheryar Siddiqui is board certified by the American Board of Internal Medicine. He is a gastroenterologist treating adult patients ages 18 and up. He specializes in treating irritable bowel syndrome, inflammatory bowel disease, celiac disease, motility disorders, chronic constipation, diarrhea, bloating and gas, chronic liver problems, cirrhosis, Hepatitis B and C. In addition, he offers general endoscopic procedures and general gastrointestinal care, including preventative screenings for colon cancer. He is fluent in multiple languages, including English, Hindi and Urdu. Dr. Nadim Jafri provides highly personalized care for adults with stomach and digestive issues. Among the conditions he treats, his special interests include abdominal pain, reflux, heartburn and hemorrhoids. 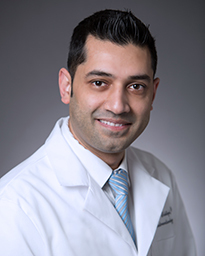 Because confidence and trust are essential components of Dr. Jafri’s practice, he makes sure to establish a good rapport and listen attentively to each patient’s concerns.